Small American Marine Business for Sale or Cooperation. This company is located in Florida USA. 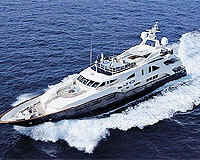 Its main focus is on Commercial and Yacht repair with some new yacht construction activity. They have worked as subcontractors to one of Americas best known Yacht Builders on several significant projects and have interesting alternative business activities that are well suited for international trade. The existing owner has some experience with Chinese business culture, already having non-marine products being manufactured in Shenzhen. Traded for the past 5 years. a new style of ultrasonic flow meter. Have sufficient workload ahead of them, if required. * This includes a 50K loan to the inventor of the Fuel spill saver device which will be returnable with interest in 9 months. For more complete information email billy@yca-hk.com in English, or sunshine@yca-hk.com in Chinese.